Oli Verderol, extra virgin Olive oil D.O. 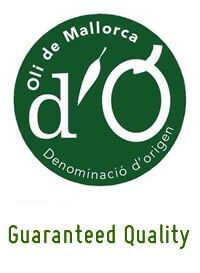 Picarandau, a family business with a plantation of 2,560 olive trees near Palma. 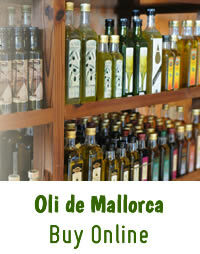 Mallorquina / Empeltre, Picual and Arbequina are cultivated. Because of these 3 varieties of olives, occurs an extra virgin oil called: Verderol Oli, an Olive Oil of excellent quality, properties and taste harmoniously balanced.